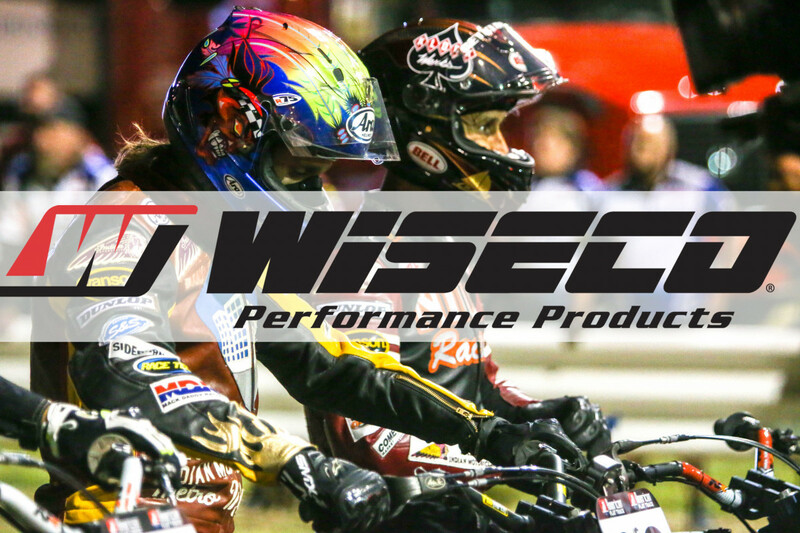 DAYTONA BEACH, Fla. (February 11, 2019) – American Flat Track (AFT) is excited to continue its partnership with Wiseco as the series’ Official Piston for the 2019 season. Wiseco has been an integral player in powering many of the finest in motorsports for decades and remains a fixture up front to this day, sponsoring many of American Flat Track's strongest contenders. NBCSN and FansChoice.tv are the official homes for coverage of American Flat Track. For the 2019 season, NBCSN’s coverage of AFT moves to highly-coveted, weekend afternoon programming slots within two weeks of each event. The complete schedule for AFT on NBCSN can be viewed at http://www.americanflattrack.com/events-nbcsn/. FansChoice.tv remains a cornerstone of AFT's digital strategy, providing live streaming coverage of every event on AFT’s live page while previous events and exclusive features are available on AFT’s VOD page. For more information on Wiseco visit www.wiseco.com.